The forex market has over the years turned out to be a truly global marketplace as buyers and sellers from all over the world participate and execute trillions of dollars-worth currency transactions each day. As forex trading is a global activity now, macroeconomic events have a key role to play as far as price movements are concerned. In this post, we will be discussing as to how some of the economic events impact the forex market and prices of currencies. If you are new to forex trading, this will be of great help to you in understanding the behavior of the forex market. The capital markets around the world are perhaps the most important indicators of the economic health of a country. The stock and bond markets are the most visible markets. Constant media coverage availability of information about government entities, corporations, and institutions and government entities keep the capital markets ticking all the time. A rally or sell-off of equities in a country provides a clear signal about the short term and long term outlook in the eyes of investors. Many economies are dependent on the performance of a sector. For example, Canada is heavily dependent on commodity sector. The value of the Canadian dollar is linked to the price movements of commodities like metals and crude oil. If the oil prices rise, the value of the loonie will also rise against other currencies. Just like the forex traders, the commodity traders also follow the economic data for placing their trades. This is to say that economic data have a direct impact on both the currency and commodities markets. The bond market and the forex market are also interrelated. This is because both the currencies and fixed income securities are impacted by interest rate decisions. Treasury price movements are the first level of factors that influence the currency price movements. This means that changes in yields directly affect the currency values. As these two markets are closely tied, it is important that you understand how bonds, especially government bonds, are valued in order to succeed as a forex trader. 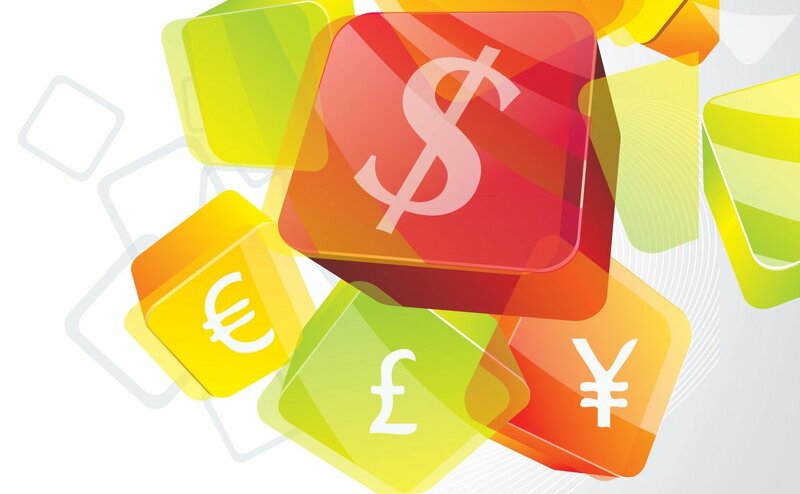 Another important factor that affects the forex market is the trade balance data. The balance of trade between countries serves as an indicator of demand for goods of one nation. If the demand for goods or services of a country is high internationally, the country’s currency will typically appreciate. For example, to purchase goods or services from Australia, buyers have to convert their currency into Australian dollars. As the demand for the Australian dollar increases, its value or exchange rate against other currencies will also increase. Trade deficits and surpluses represent a country’s competitive advantage in international trade. Countries with large trade deficits are net buyers or importers of goods from other countries. They sell more of their country’s currency to purchase other countries’ currencies so that they can pay for international goods. This means that trade deficit negatively impacts the value of the currency of the importing country. The political situation in a country impacts the country’s economic outlook. This, in turn, affects the perceived value of the country’s currency. Forex traders continuously monitor political news as well as events of countries to judge the price movements of the currencies of those countries. These include increasing government spending and tightening restrictions on specific sectors or industries. An election in a country is often considered as a major event by currency traders. This is because currency exchange rates often react favorably to political parties that show more fiscal responsibility and governments that are willing to work towards economic growth. For example, the Brexit vote (the UK’s decision to leave the EU) had a great impact on the GBP. The currency hit the lowest levels ever since 1985 following the vote because of the uncertainty related to the UK’s economic prospects. The changes in fiscal and monetary policies of governments of countries also have an influence on the forex market. Central banks’ decisions to increase or decrease interest rates are closely followed by the forex market participants. Reports on economic data are the backbone of forex traders’ playbook. You need to maintain a calendar of economic events if you want to stay current in the fast-paced marketplace. The GDP report is the most obvious economic release. This is because it indicates a country’s economic strength and performance. The GDP is a measure of the total value of the goods and services that are produced within the country. However, the GDP is considered as a lagging indicator as it reports on trends and events that have already occurred. Inflation is another very important economic indicator. It indicates whether the price levels and purchasing power of people are increasing or falling. Inflation acts as a double-edged sword. It places downward pressure on currencies when the purchasing power declines. Further, it causes the currencies to appreciate when central banks increase the rates with a view to controlling rising inflation levels. Amongst economists, consumer prices are a highly debated issue and their effects on currencies are never very clear. Other reports that impact currency prices are employment levels, manufacturing indexes, retail sales, and capacity utilization data. Summarizing, it is the economic factors that drive the forex market. These factors provide an indication of a country’s economic strength. A country’s economic outlook is the most important aspect that determines the value of its currency. Therefore, it is important to know what the factors are and keep track of the changes in order to trade currencies well and generate profits.